It's a Russell Stover Wedding Cake Egg. 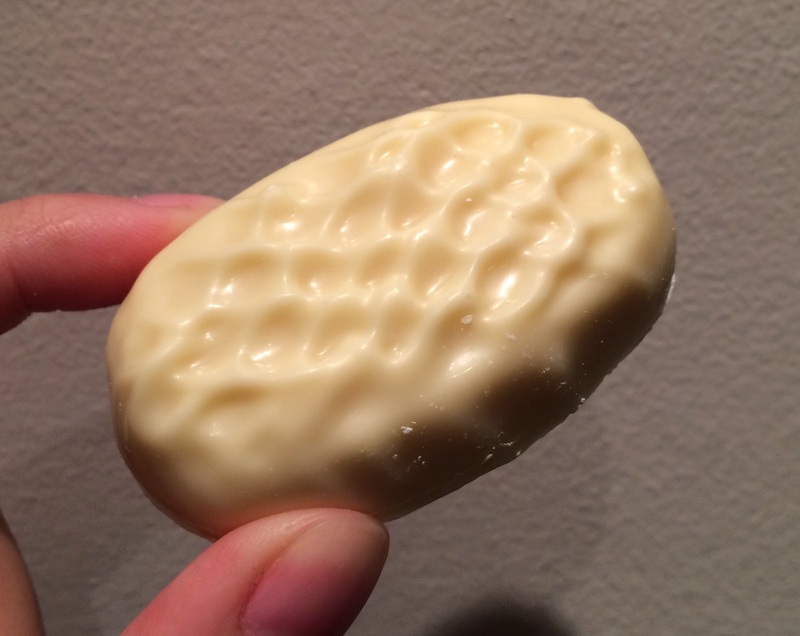 It's an white chocolate egg. The pattern on the surface seemed like a woven textile. 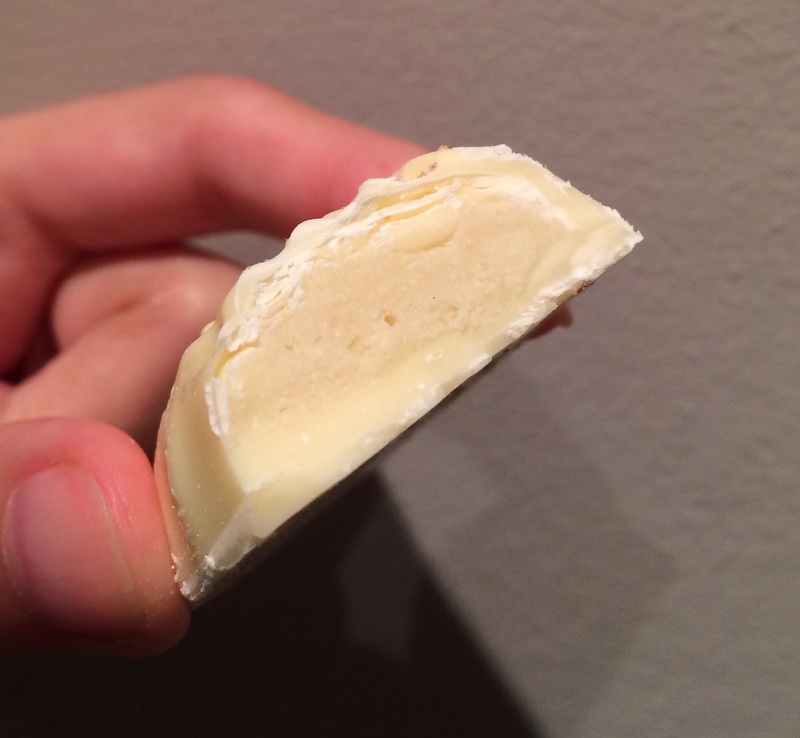 The white filling had a vanilla cake flavor.